New evidence points to a PC release of the Xbox One exclusive game Sunset Overdrive. Earlier in the year, there was a listing on the Korean Game Ratings Board. Now, a Twitter user has shared a link on Amazon with a PC listing of the game and its DLC. Twitter user Wario64 posted evidence of the Amazon page but it appears to have been removed, but at the time the page stated that the game will be available for pre-order this Friday, November 16, with the game supposedly set at $20. Wario64 also linked to a Steam databank page which features promotional art for the game, and in addition to the Amazon listing and the Steam databank page, an ESRB listing for the game went live last week. 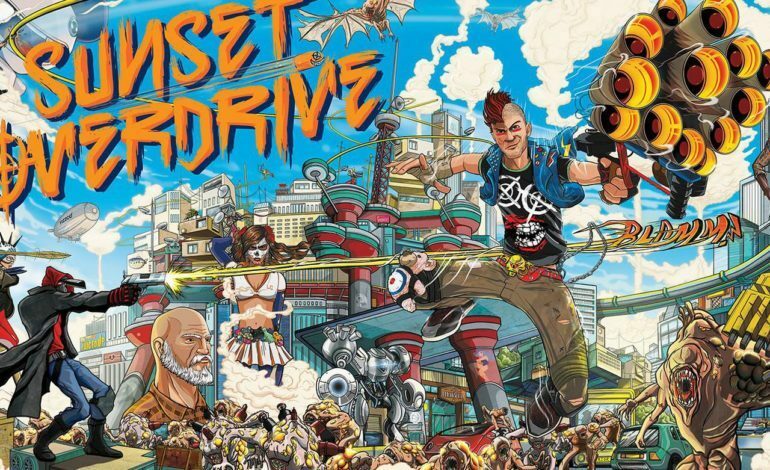 For those who don’t know, Sunset Overdrive is a third-person, action- adventure, open-world game with an emphasis on movement and crazy weapons. The game was developed by Insomniac Games, the same developers of Marvel’s Spider-Man. Insomniac Games is a studio known for its crazy weapons ever since they created the Ratchet & Clank series. The game was released October 14, 2014, and was published by Microsoft Studios for the Xbox One. All of the evidence points to the release of Sunset Overdrive on PC. Back in 2016, Insomniac Games said that they would “love for it to come to PC” but it’s up to Microsoft for that to happen. Come Friday, we may know when the game will be available for the PC platform, whether it be the aforementioned leaked release date or during the holiday season which Microsoft has revealed some of its plans for. During X018, a celebration for all things Microsoft, one of the big announcements they made was about Xbox Game Pass. They announced 16 new titles and a special holiday deal for the service that gives you the first month of Xbox Game Pass for a dollar, so it’s entirely possible that Sunset Overdrive will show up there as well.